The Pennybacker Bridge carries TX Loop 360, also known as the Capital of Texas Highway, across Lake Austin and the Colorado River in Austin, Texas. 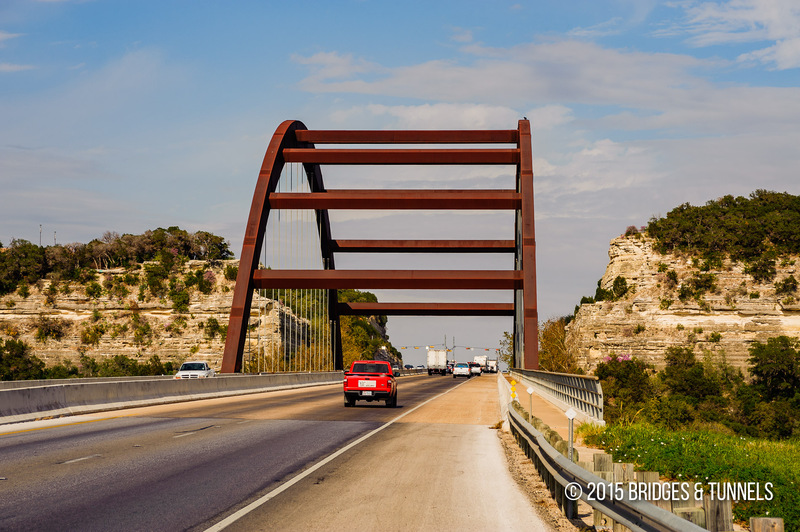 It is named for Percy Pennybacker who designed bridges for the Texas Highway Department and who was a pioneer in the technology of welded structures. 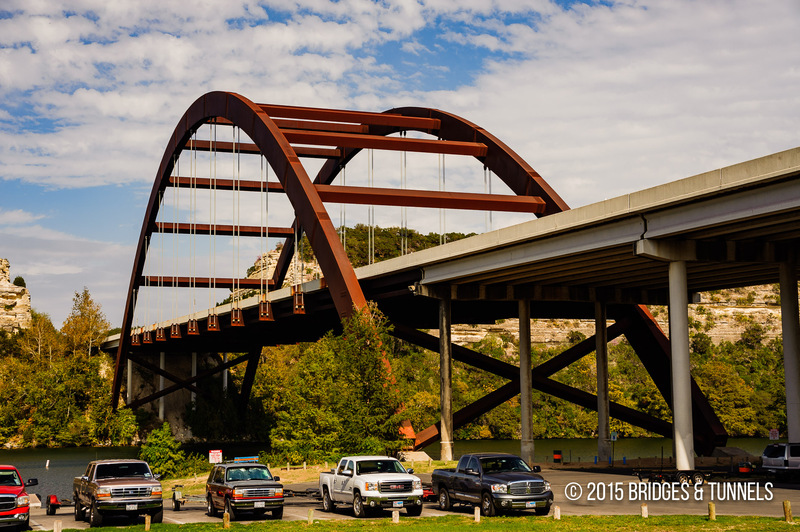 “Pennybacker Bridge.” Emporis. N.p., n.d. Web. 6 Nov. 2012. Article.